If you’re looking for a healthier way to satisfy your sweet tooth, you have to try banana ice cream, sometimes also called nana ice cream or n’ice cream. It is so rich, creamy, sweet, and decadent, you seriously won’t even realize there’s no dairy or added sugar. Shhh don’t tell anyone…it’s simply just frozen bananas. 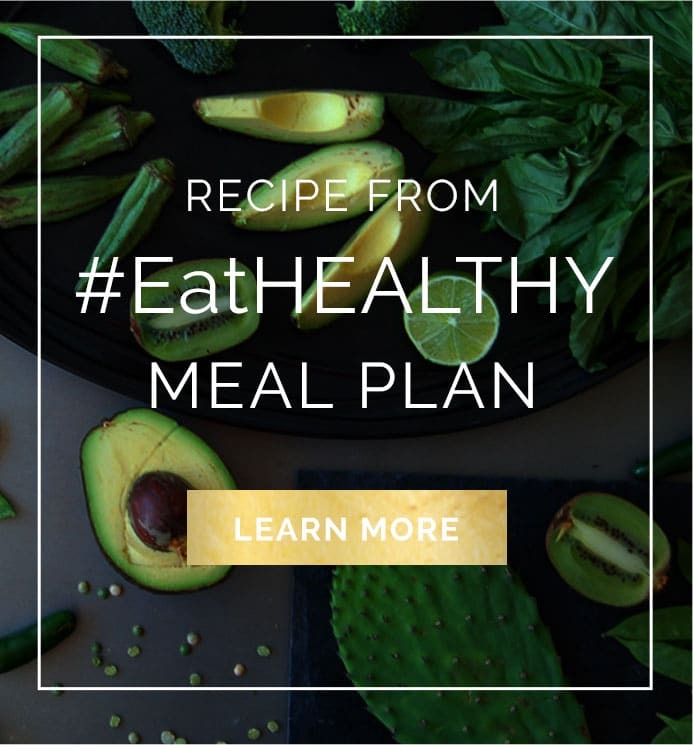 I’ve been making it for years, and it was one of the recipes that helped me get over my sugar addiction. Banana ice cream is extremely versatile. 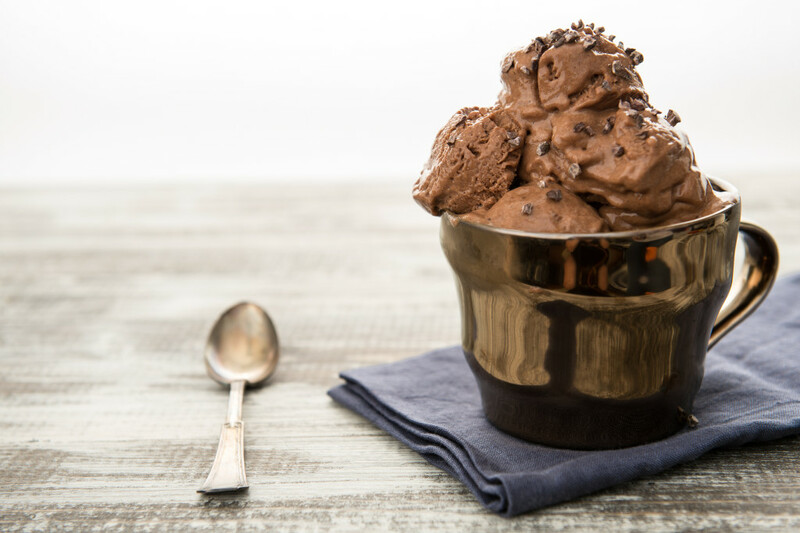 You can use the frozen banana base (with just a touch of vanilla) to make any flavor you like: chocolate (cacao powder), carob (carob powder) strawberry and mint, blueberry, almond butter ginger…the combinations and varieties are endless. (If making fruit flavors, always use frozen fruit). 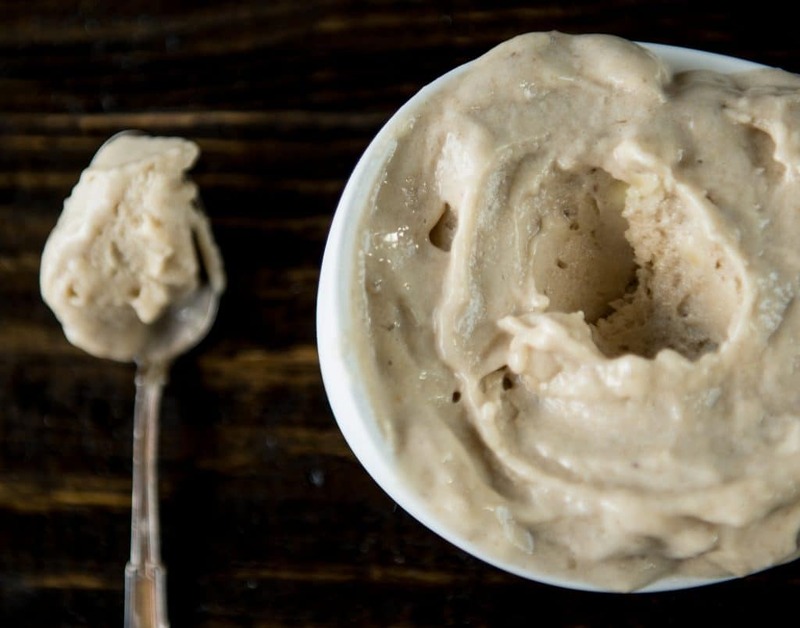 All you need to make banana ice cream is a high speed blender, like a Vitamix. Unfortunately, regular blenders don’t work as well for this, and you may burn out the motor. 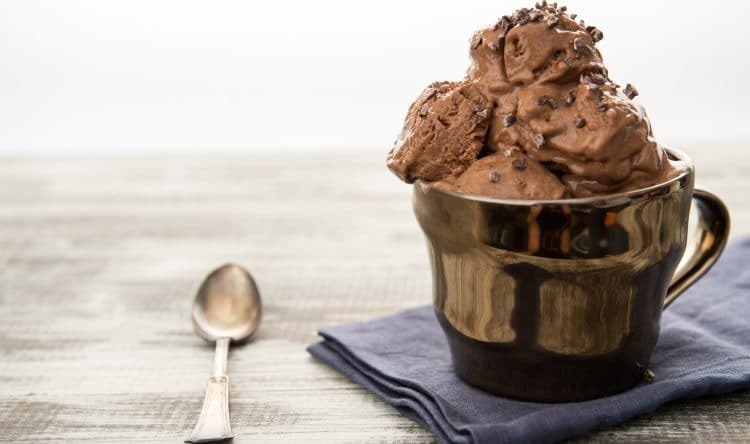 Place all ingredients (banana base plus the add in ingredients of your choice) into a high speed blender and blend on high until soft serve ice cream consistency is reached, which should be about 30-60 seconds. Taste to determine if you want to add more of any add ins, and re-blend if needed. Otherwise, simply spoon out and serve! *Peel overripe bananas, break in half, and put in a zip top freezer bag. Freeze for at least 4 hours or overnight. It's a good idea to leave a big batch of frozen bananas in your freezer, so you have some on hand when the mood strikes. What is “Banana N’ice Cream Base” is this a product or the frozen banana? Googled it and a product did not come up, just not sure what this is. Hi Molly! Sorry that wasn’t clear enough… that’s just the frozen bananas. You can use them as a base to make any flavor “n’ice” cream you like. I caught Ms. Marlowe on CBS Saturday 10/15 morning show and although Cindy Hsu stated for recipes log on to CBSNY there is not one word mentioned! It took me hours to find Ms. Marlowe and, hence, this Web site. Ms. Marlowe needs more marketing as what she states is so true. Without the long story, I have almost healed myself thru a change of diet. If I wasn’t so lazy and poor, I would do her recipes. GREAT WORK… YOU HAVE TO BE PROUD. NOW GET THE WORD OUT THERE. PEOPLE ARE MAKING THEMSELVES SICK ESP WITH ALL THE PRESERVATIVES THEY’RE EATING. HI Christine, Thanks for the encouragement! Sorry you had trouble finding the site, it should have been more clear. It’s wonderful you are healing your body with a change of diet. I wish you continued success with it!